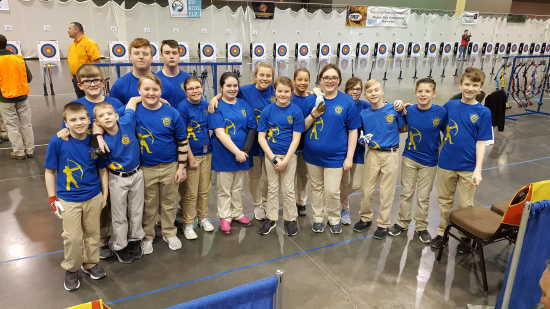 Students from Saint Ambrose School in Chaffee attended the MoNASP State Archery Tournament in Branson, Missouri on March 22nd & 23rd. Seventeen students from Chaffee shot in bulls-eye and 3D tournaments with kids from all over Missouri. Congratulations on a successful season.